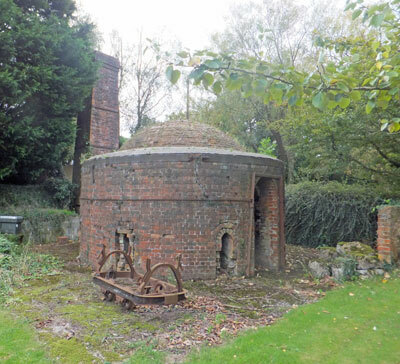 The circular, or beehive kiln at Brickfields on Hillis Gate Road dates from the early 20th century and is the sole survivor of the once large brick works on the site - and possibly the sole remaining brick making building on the entire island. Maps show that the works expanded from a relatively modest beginnings before 1864 to quite an extensive brickworks by 1897. By 1909 the brickworks appear to have reached its largest extent, and it continued relatively unchanged until it closed in 1955. The Hillis Gate Brickyard was one of the yards owned by members of the Pritchett family who had been making bricks on the Island from the mid 18th century.